The crocuses are blooming. The first taste of springtime perfumes the air. Winds come to gather the last leaves left by autumn. They whisper in the breeze, beckoning. I can’t wait for spring to come, a classmate told me. It’s here! I replied, and it is. Nascent, unfolding, the beginning of wings. Doves weave their nests in naked trees. Tiny yellow blossoms poke out of the litter of dry leaves, pushing the dirt up around them. Just two weeks ago I wandered with a bittersweet heart, the heavy, nostalgic yearning for spring. Deliver us from the biting wind of winter. Wrap me in sunlight. I want to drink it. Now spring is here and net yet here. Palpable in the faces of the little flowers, still rare, that dot the campus in overlooked places. 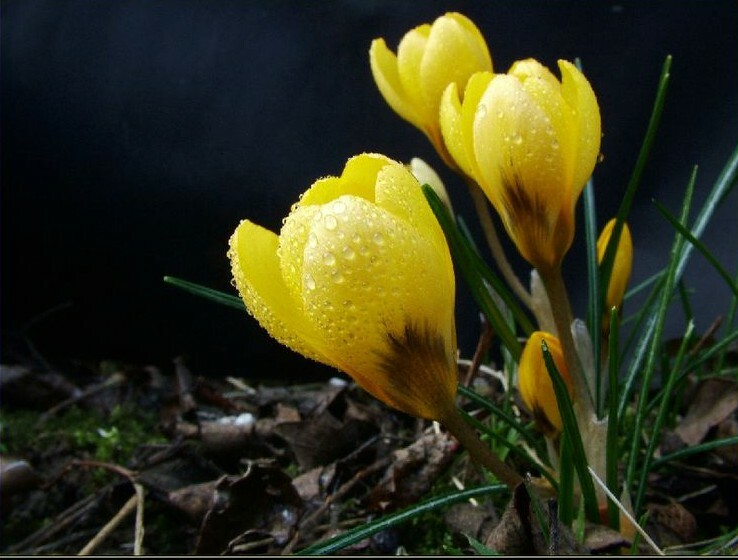 Crocus, iris, daffodil. It’s not spring yet, but the whole glory of the season is somehow contained in this moment where one season gives way to another. Like the latent image on film exposed and not yet developed, springtime is present, complete, and invisible. It’s just starting to appear, mysteriously fully formed, encircled by the secret movements of light and wind. We only become what we always were. The dawning of truer, freer selves is like the unfolding of spring. We reveal what was foretold before forms were given names and attributes. How can we become what we are already? Paradox of this domain of where creatures move in four dimensions. We are casting off chains and clearing airways. Like the flower within the bud, we are ready to emerge. Reality radiating inward from Ein Sof (No End). Source. For a long time now I’ve wrestled with a recurring question: What is the spiritual significance of being transgender? In my tradition, questions are more important than answers, so I respond to this question with more questions. Each of these queries points towards possibilities in trans experience, lenses this life has offered me. This investigation is both intensely specific and ultimately universal. I ask about the spiritual meaning of being trans because it is a profound, formative, and raw experience for me. Any experience will do. Circumstances provide us all with doorways, superficially unique yet essentially identical, in that they all lead to the same place. Countless roads have one destination; all of reality empties into the Infinite. All tears, like all rivers, flow to the Sea. When society turns you away, where can you go? When axioms crumble, what remains? Who is this you, whom neither body, nor society, nor life history define? Who is the one who can accept the unacceptable, do the undoable? When you are on the outside looking in, where are you? When you lose everything, what do you have? When everything changes, what stays the same?